I am so happy to hear that all of you who are keeping up with this series are enjoying it! Anything I can do to help you ladies get healthy hair is always a plus for me. This week I decided to play with a little weave. I did not do this for the first two months because my priority is to help you get your natural hair healthy first. Weave should always be an option, not a requirement. But weave does help if you simply think your hair is unruly but are still not ready for a relaxer just yet. And it is extremely convenient. I put on "Stacey" this week, which is the name of this wig, or removable sew in. 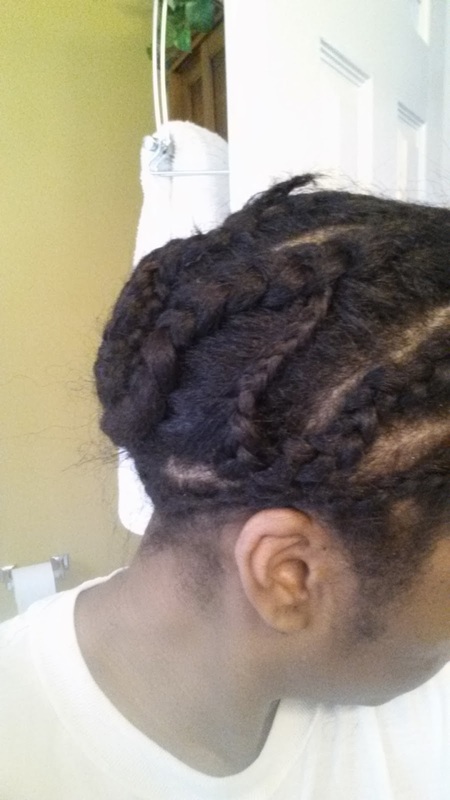 I made her myself with hair from my collection (www.ljoneshaircollection.com) Below is how I braided my hair up first and put her on. I started, of course, by prepping the hair with Silk Hydration by L. Jones Extreme Clean shampoo. I used this twice before using the Silk Hydration by L. Jones Daily Conditioner. After rinsing and towel drying my hair I then sprayed Silk Hydration by L. Jones Leave-In Conditioner in it and let it air dry overnight. 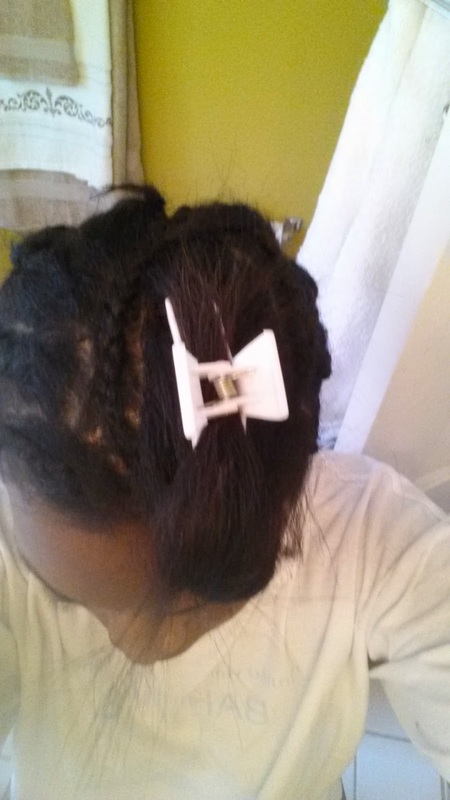 I tied it down while it was wet so that my edges and roots would be very flat and not require much heat at all to get straight. I then braided my hair up, sewed my wig on, and voila! I am showing you these braids to let you know that they do not by any means have to be perfect! You just want that hair flat and out of the way. I can not stand to braid my own hair and often rush through it but as long as they don't unravel you are fine. No one will see them anyway! The main braid you want somewhat decent is the perimeter braid because that is the braid that you will sew the wig onto. 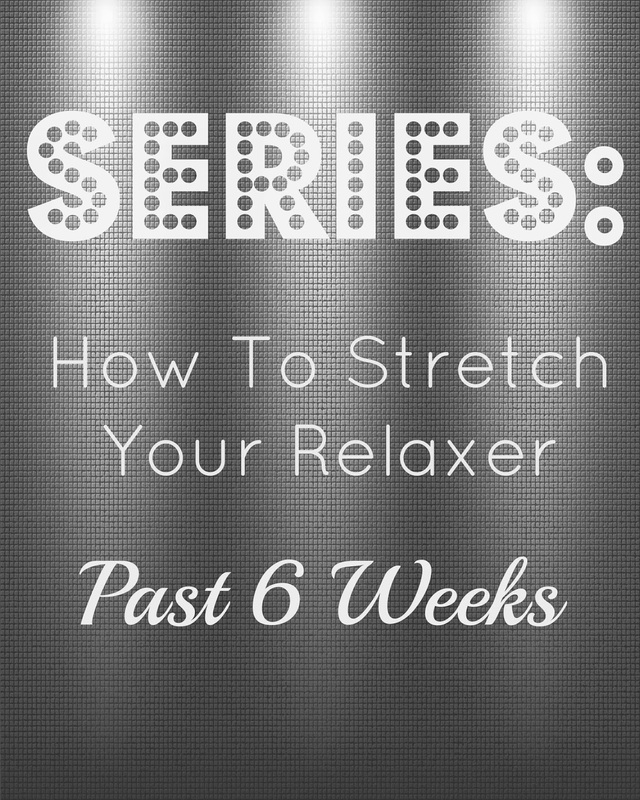 I may leave this in for two weeks instead of one but will still do an update for week 10. See you next week for the series!! Great video! I wish you had shown how to maintain hair at week 9 with blowing drying and flat ironing. I am week 10 and I'm fighting to keep my new growth flat, moisturized and looking decent. 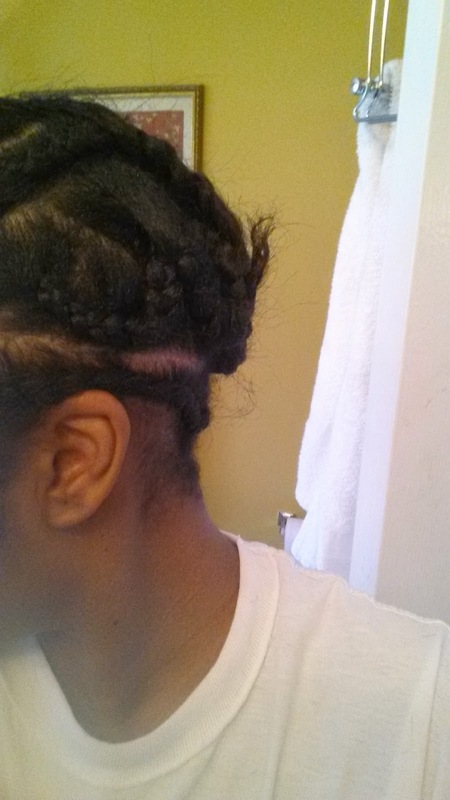 My new growth has caused me major shrinkage, resulting in my hair looking putffy. Any advice on styling my hair at this stage? Just keep doing the same routine that I was doing on the previous weeks. Shampoo, condition, then put foam wrap on your new growth and edges to lay them down. Blow dry and flat iron as usual.